The perfect way to narrow the spread of a softbox and still maintain its diffused quality. Our 40° softbox grid is made of nylon-webbed fabric to be lightweight, portable, and durable. Medium softbox grid fit our 24x 32 inch (medium) rectangular softboxes. These Grids provide directional control of softbox light letting you keep light on your subject and off the background. Velcro® lining makes installation very easy. 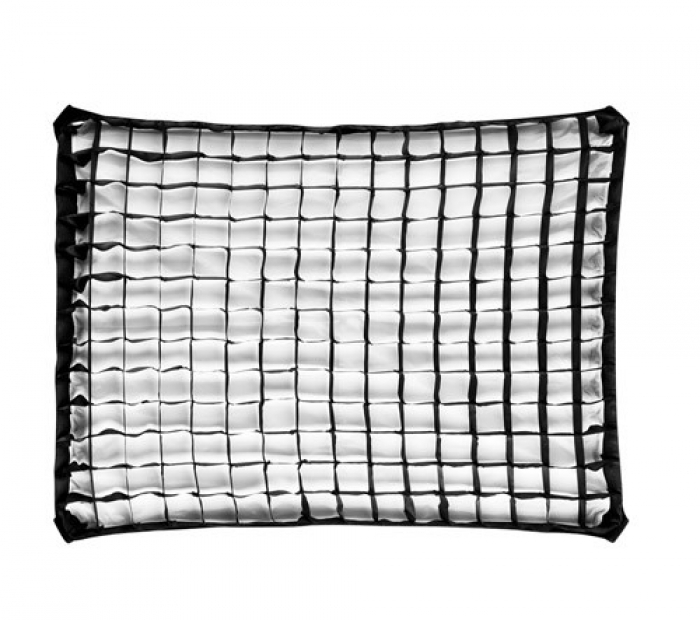 Medium grid (rectangular) available for SilverDome, MultiDome, LiteDome, CineDome, and MovieDome softboxes.